Japan’s Citizen is now the market-leading supplier of sliding-head machines in Switzerland. 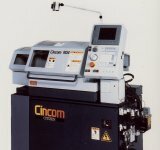 The Swiss feat has been achieved off the back of the linear motor-based, cam-auto replacement 4 mm capacity R04 and its 16 mm M16 models – the former used by the watchmaking industry and the latter by the medical industry, reports Geoff Bryant, managing director of UK Citizen supplier, NC Engineering. And with changes afoot in the watchmaking industry that will see Swatch company ETA cease to make watch movements for third parties, a wave of new R04 investment in movement manufacturing facilities is expected – there are already 40 machines installed there. Here in the UK, the R04 has proved less popular, but the new 7 mm R07 is expected to be of greater interest. The machine uses linear motors like the R04 and will provide speed and accuracy benefits over the B12 model which might previously have been used. The machine was unveiled at a recent open house where speed was the central theme. Although new machines look similar, there has been a step-change in performance, Mr Bryant confirms. The L20, now in its 7th generation is 40 per cent faster than its predecessor, for example, with much of this down to Citizen software development. Mr Bryant also revealed that Citizen has bought the rights to the UK developed CNC Editor and Alarm Alert software packages. The UK will remain the development centre, however. Citizen already has its AlkartPro off line programming software – a new solids-based release will soon be available. 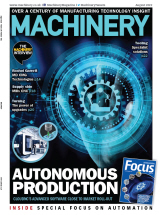 Future UK software development activities may focus on machine monitoring software, Mr Bryant revealed. Useful data is already resident in Citizen CNCs but is not easily accessible via third-party products, he adds.